Hi! 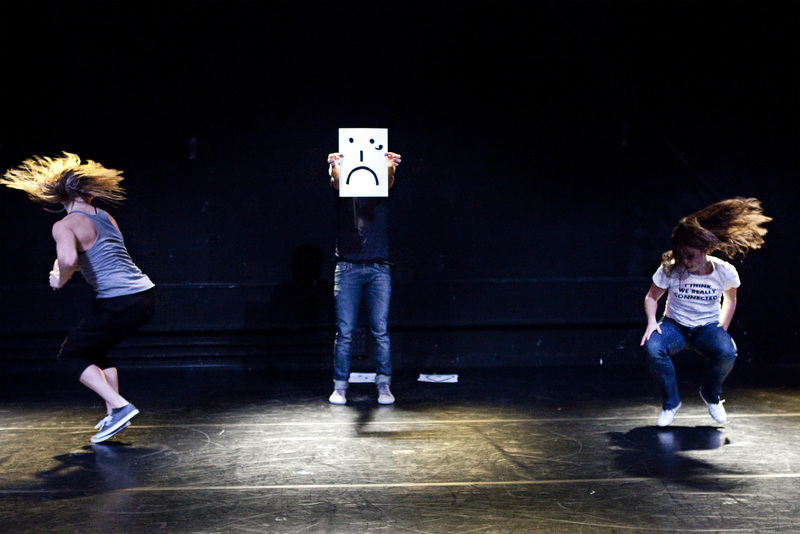 My Name Is… is a performance about lies, group behaviour and social norms. The inspiration for this piece was the need for us as human beings to belong to a group where we can be ‘ourselves’ and be accepted. How far can you go to find love and to dull your solitude? Society and new technologies put pressure on your private life to make it public. You are forced to search for social contact in the most peculiar ways. In Hi! My Name Is… two dancers and three musicians of the Finnish group Urbaanilegenda confront their desire to connect and expose themselves via text, spoken word, rap and movement. Hi! My Name Is… is chosen as one of the Aerowaves priority companies in 2011. Hi! My Name Is… is also chosen for the Blinddate tour in the Netherlands in April 2011. This performance is made possible by Amsterdam Fund for the Art, Dansmakers Amsterdam, Finnish Cultural Institute for the Benelux, Imperium Foundation, SNS Reaal Fund, VSB Fund and WArd/waRD NL/BE.